Ever since last month’s real food challenge, I’ve been motivated and inspired to keep with it. It’s so much easier than I was expecting (probably because I’d been doing many of the things already, I just wasn’t “all in”). I thought it would be fun to do an occasional real food post because I ‘m always trying new recipes and tweaking things! My girls love spinach. They eat it all the time. What? Your kids don’t? That’s weird. Ok, I was being sarcastic. 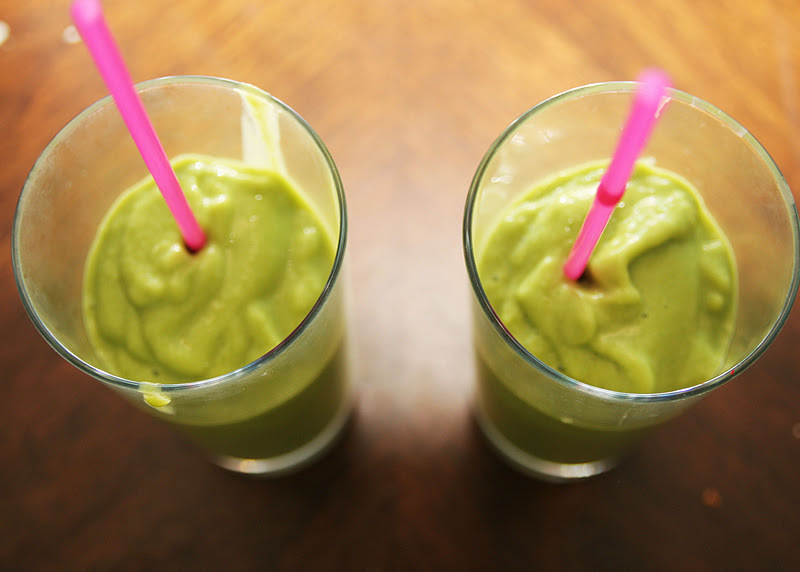 My girls don’t love spinach…but they DO love green smoothies. Which means that they are eating tons of spinach and LOVING it…they just don’t know it. 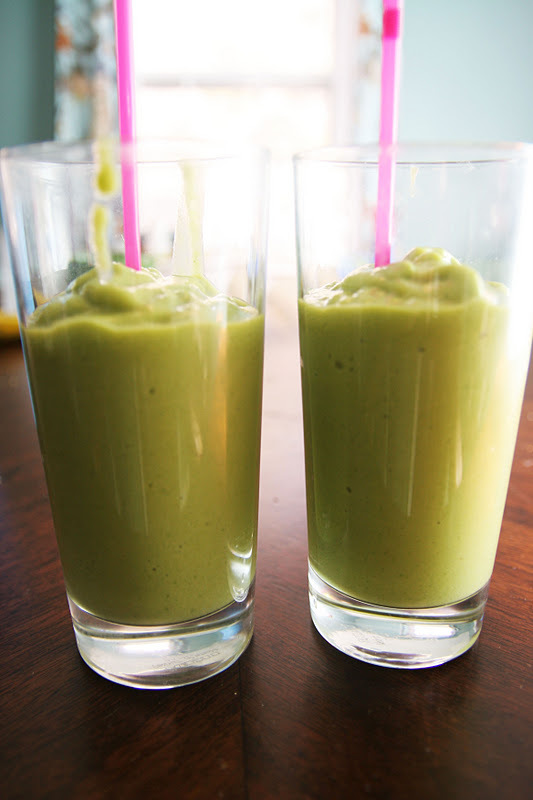 I’ve been making these green smoothies every day for the past few weeks and they are so yummy, easy and healthy. I especially love them for breakfast. My girls will drink an entire cup in about 10 seconds and then ask for more. I don’t really have a precise recipe, I just throw things in. Lately I’ve been putting in about 1 cup of frozen mangoes, 1 cup of pineapple ($0.99 at Aldi right now and pineapple is one of the “clean” 15, so no need to buy organic! 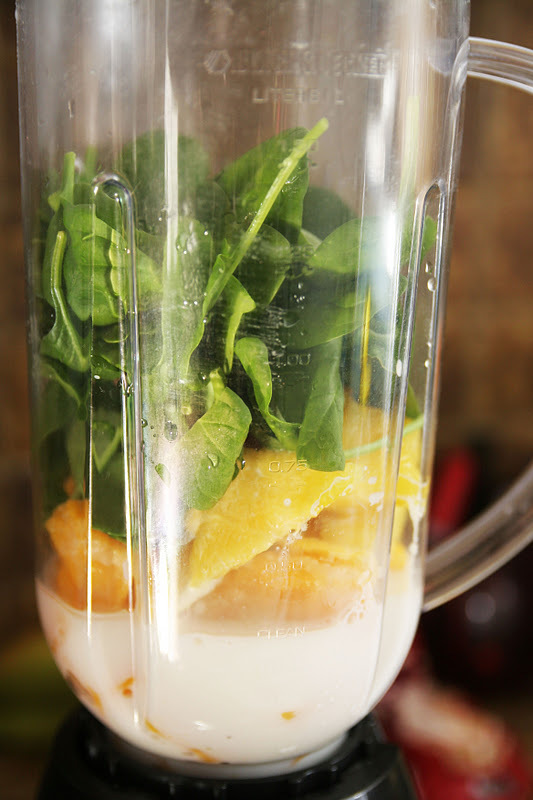 ), 2 tablespoons of orange juice concentrate, 1/2 cup of milk and a huge handful of spinach. I add water and a few ice cubes to get it to the consistency that we like. 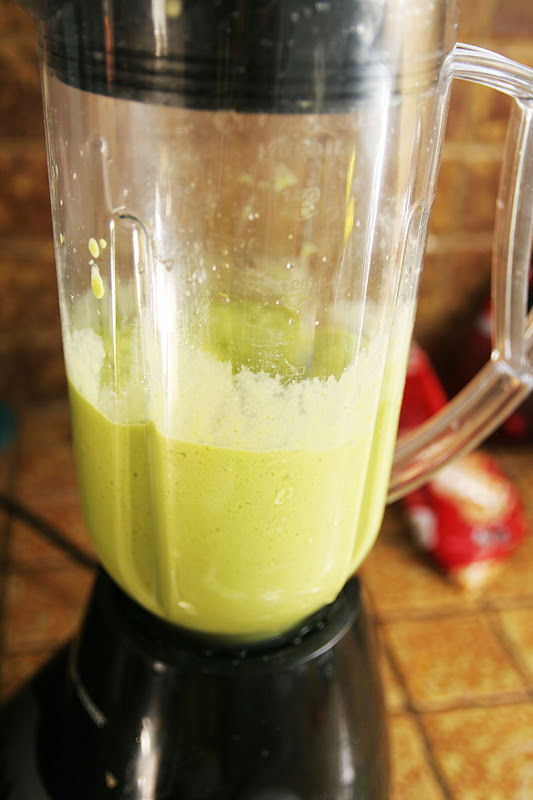 I prefer my smoothies to be pretty thick and slushy, but if you like yours thinner…just add more liquid. You can also make it with berries, which is delicious…it just won’t be green! I'm SO going to try this. I'm certain my daughter would love it & I'm trying to get creative with making sure I eat more fruits & vegetables a day. I just had to let you know that we tried it this morning and LOVED it! I put in a lot of spinach and it still tasted so good. yay! I'm so glad you guys liked it!